I had a virtual machine crash on me, while I was doing some work on it As I was unable to shut it down gracefully, I attempted to ‘Power Off’. It progressed to 95% and stopped there. Expecting it to ‘time out’, I carried on with some other work and kept an eye on it. 30 minutes later there was still no progress. 1. 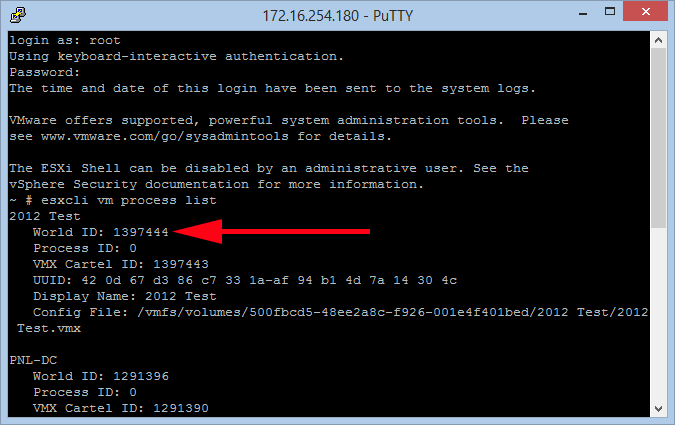 Enable SSH access on the ESX host that is hosting the problem VM. 2. Connect to the ESX host via SSH, and logon as root. 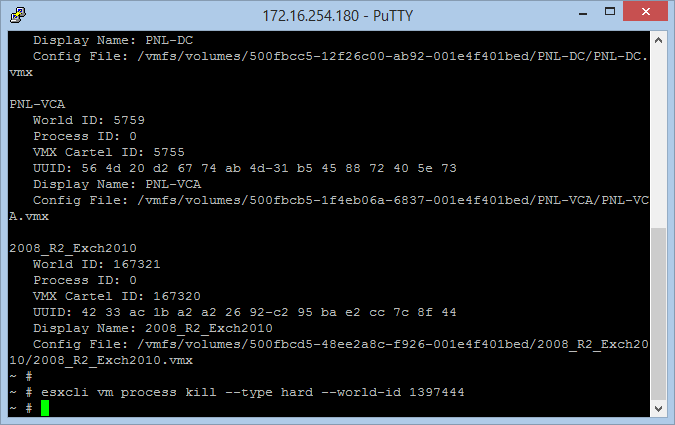 Execute the following command to see all the running VMs on this host, and list their world ID numbers. 4. Check, and your VM should now be powered off. Note: This is a last resort. 1. Issue the following command to locate the Process ID's that are associated with the problem VM. ps | grep "VM Name"
ps | grep "2012 Test"
You will get all the processes, and they are preceded by two columns of numbers, the first column contains the individual PID's. The second column is the PID for the parent process, this is the one you need. 3. Check, and your VM should now be powered off.